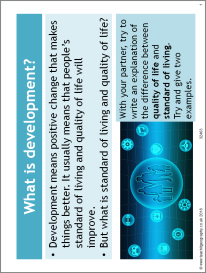 This resource introduces development, what it is and how it can be measured. Students focus on GNI and HDI and compare the two measures. Included are map analysis activities and a video source.